As I’ve written about in other posts about razors and posture devices, in the second half of the eighteenth century, the introduction of cast steel transformed products for the body. Steel had many physical properties that rendered it very useful across a range of instruments. Unlike its predecessor, blister or shear steel, which was of uneven quality and could be brittle, cast steel was durable and capable of carrying a very sharp edge. It could also be polished to a mirror-like shine, making it very attractive to wear as ‘brilliant’s – imitation diamonds. Many of the instruments I’ve written about, from razors to spectacles, were things that people bought to use upon their own bodies. But there was another group of instruments that was transformed, but one which people generally did their best to avoid – surgical instruments. The surgeon’s knife held something of an ambiguous position within medicine. For patients the briefest glimpse of a scalpel or, worse, an amputation knife, was enough to send them into a swoon. Some surgeons argued that people would much rather subject themselves to the dubious ministrations of the quack than to the slice of the blade. Surgeon’s instruments also suffered from the taint of the manual craft. It was argued that almost anyone could wield a knife or a saw, without any need for theoretical knowledge of the body. As such, surgical instruments were little more than tradesmen’s tools. Nevertheless there was an increasing demand for instruments in Britain in the later eighteenth century. Across Europe numbers of medical students were swelling. In France the numbers of surgeons nearly tripled between 1700 and 1789. By the early years of the nineteenth century, around 300 students per year were enrolling in London hospitals, as well as Edinburgh and Glasgow. As well as the increasing numbers, medical education was changing, especially in the matter of dissection. Before the 1750s, anatomisation was generally a theatrical event where the dissection was carried out by a surgeon, watched over by a crowd of enthralled and doubtless, sometimes, nauseated crowd. But changes in medical education meant that trainee surgeons were increasingly given access and encouraged to get their hands dirty. Reading books about anatomy was fine as far as it went, but could never replace empirical observation and experience. This was also an age where views of the body were changing, and the human form was likened to a machine. As Thomson’s The Art of Dissecting the Human Body, in a plain, easy and compendious method dissection manual put it, there were only two possible ways to discover the workings of a machine. One was to be taught by its creator…difficult in this case! The other was simply to take it to bits and put it back together again. Surgical manuals began to set out the requisite kit for the gentleman surgeon. One was to purchase a set of pocket instruments containing the most commonly-used items. The German anatomist Lorenz Heister advocated a pocket set including lancets for opening veins and abcesses, straight and crooked scissors, forceps, probes, a razor and needles. A similar kit was popular in London, containing knives ‘made of best steel’, lancets and scissors, as well as a salvatory and plaster box. Clearly some surgeons were apt to keep buying until they had amassed a huge number of instruments. The surgeon and author Benjamin Bell cautioned against such acquisitiveness, arguing that too many instruments confounded the surgeon under the pressure of the operation. The increasing demand for instruments opened up a range of new opportunities for the makers of instruments. Traditionally cutlers had been the mainstay of surgical instrument manufacture. With their experience in making edged tools and of tempering metals to exact requirements, they were the best qualified. But by 1763 the Universal Director, a directory of London trades, was describing surgical instrument manufacture as ‘a distinct branch from the common cutler’. By 1800 the first dedicated surgeon’s instrument catalogues were being produced by prominent makers such as J.H. Savigny of the Strand in London. Savigny’s catalogue contained a wide variety of different instruments from knives and saws to catheters, tourniquets and even apparatus for the recovery of the apparently dead! Surgical instrument makers were also keen to puff their products in newspapers. The market for these products was fairly narrow and specialised; these were not items marketed for the public. Nevertheless it is noticeable that makers did their best to clothe their advertisements in the language of polite commerce, and include popular and elegant designs in their trade cards. The language of advertisements was all polite puffery. The tone of advertisements for ‘Thurgood’s Surgeon’s-Instrument Manufactory’ in Fenchurch Street was deferential, seeking to reassure ‘any professional gentlemen’ that ‘nothing shall be wanting on his (Thurgood’s) part to render full satisfaction’. Many other adverts were targeting ‘gentlemen of the faculty’ and seeking to encourage their business. Advertising also offered opportunities for illustration. The trade card of John Chasson of London depicts a variety of amputation knives, saws and other instruments set against an elegant rococo surround. The razor and surgical instrument maker Henry Patten’s card shows a range of instruments, including lancets, hanging from branches of its elaborate frame. Given their associations with manual trades, it is noticeable that advertisements began to pay attention to the form as well as the function of instruments. John Chasson’s instrument cases, for example, could be bought in elegant boxes covered in fashionable shagreen (sharkskin). The handles of knives and saws began to change from traditional wood and bone to more exotic and expensive products like ebony, ivory and tortoiseshell. Perhaps the most surprising claim made by some makers, however, was that their products lessened pain and improved the experience of patients. In 1778, J. Savigny advertised his newly-invented lancets to the faculty. Stressing his metallurgical skills, Savigny argued that they were ‘wrought to such a degree of accuracy, as will greatly lessen the pain of the patient, and totally remove all apprehension of disappointment in the operator’. In another, he argued that the ‘extraordinary degree of accuracy’ in their edge would lead to the ‘approbation of the patient and reputation of the phlebotomist’. It’s interesting to note that the patient comes first. Many surgeons agreed that speed was of the essence in any surgical technique, and that this could only be achieved by keeping instruments maintained since, as Benjamin Bell noted, they were ‘injured with every use. The late eighteenth century, then, was something of a golden age in the manufacture of surgical instruments. As the medical faculty sought desperately to separate itself from accusations of quackery and establish itself as an learned profession, the need for new instruments, based on the latest scientific and philosophical principles, was key. Likewise, with an expanding market and greater opportunities to promote their products, surgical instrument makers were continually engaged in developing and refining their products. Whether it would be of any comfort to a poor patient to know that the knife about to saw their leg off was made of the latest cast steel, however, is a moot point! One of the biggest frustrations in studying Welsh medical history is the lack of institutions. In the early modern period Wales was unique amongst the individual nations of the British Isles in having no universities and no medical training facilities. Unlike England, Scotland and Ireland there were no colleges of physicians or surgeons. Why was this? One of the main reasons was the lack of large towns. Wrexham, in north Wales, was by far the largest town in early modern Wales, with a population of around 3500 in 1700. There were many other smaller Welsh towns but, without large populations to cater for, there was no need for practitioners to form trade gilds or corporations. 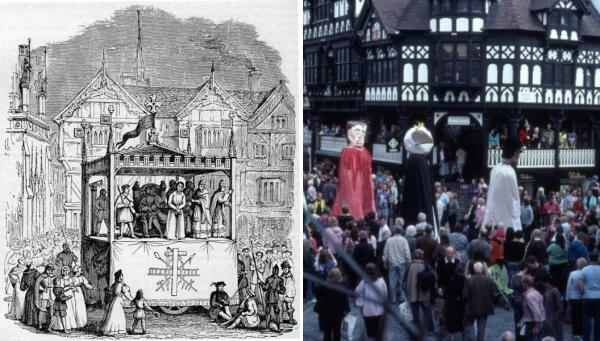 Over the past few weeks, however, I’ve been turning my attention to the Welsh Marches – the border between England and Wales – and doing some research on large towns such as Shrewsbury and Chester, which were important centres for Welsh people and, it seems, for Welsh practitioners too. One area that I’ve been particularly interested in is that of medical companies and trade guilds. As part of our project in Exeter, we’ve been looking in more detail at the role of barbers and barber surgeons in medicine, both in terms of what they did and how they were described, but also exploring the important question of medical apprenticeships. One company in particular, the Chester Company of Barber Surgeons and Wax and Tallow Chandlers is a particularly rich source of evidence. The Company were responsible for the regulation of barbers, barber surgeons as well as chandlers who made candles and soap. The relationship between the trades may not immediately be apparent but, in fact, was often interchangeable. People described as barbers were commonly medical practitioners as well as hair cutters and beard trimmers. Barber surgeons often ran barbering shops. The gap between them was extremely fuzzy. But also, for reasons that are less clear, barbers might also make and sell candles. In the records, barbers can be found referred to as wax chandlers (ie those making wax candles), or as both. Wax candles were relatively expensive since they burned for a long time. Interestingly, however, there appears to be no overlap between barbers and tallow chandlers. 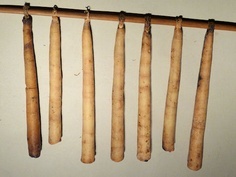 Tallow was animal fat, used in candle production. Although tallow candles were cheap, and as bright as wax candles, (around half the price of wax, or less) they burned for only around half the time, so were less effective. In conjunction with the borough the Company regulated trade and practice, laid out rules for members and also oversaw apprenticeship. Membership bestowed certain rights but also carried responsibilities. Brethren who did not abide by the rules risked censure and fines…and the list of rules was long! Some orders were routine and concerned attendance and appearance. Every member was expected to attend all meetings unless they had a valid reason, and to wear their gown. They should ‘behave themselves orderly’, not disturb or interrupt meetings and should always call their fellow members by their proper names…on pain of a fine. Other rules related to respect and civility. One brother of the company should not ‘dispraise anothers work’ nor lodge any lawsuit against a fellow member. Neither should they disclose any secrets of their work to lay people, nor give out details of the meetings. All fees (fines) were to be promptly paid and recorded in the register. These paid for the costs of meetings and food, but also for the burial of departed bretherin. Rule number 14 provided for ‘the decente and comely burial of any of the saide companye departed’ and it was expected that every member should ‘attend the corpse and burial’ unless they had good reason. The fine for non-attendance was a hefty 12 shillings! Popular culture and religious belief also features strongly. An ‘order against trimming on Sundays’ forbade the cutting of hair on the Sabbath day, again for a fine of 20 shillings. Every year the company also participated in a popular midsummer parade and festival in the city. This involved a procession of decorated carnival floats, and was a throwback to an ancient pagan ceremony. Unusually, it continued long after the Reformation and also survived the Puritan assault on popular revelries. In 1664, an order stated that money should be set out for the stewards to arrange for a small boy (a ‘stripelinge’) to be dressed and ride Abraham, the Company’s horse, in the procession, and to ‘doe their verie best in the setting forth of the saide showe for the better credit of the said societie and company’. Perhaps one of the most important aspects of the Company’s function was apprenticeship. The rules of apprenticeship were clearly set out, and this sheds light on a very important and under-researched area of medicine. Only freemen of city, and Company bretherin, were allowed to take on apprentices. Apprenticeships were usually for seven years, but this could vary according to individuals. According to the company rules, no brother should take on another apprentice until his current one was within the last year of his service. The fine for disregarding this rule was a ruinous £10! All apprentices were to be entered into the register or risk a 30 shilling fine. Why people sent their children to be apprentices in medical professions is not always clear. Medicine was not regarded as a prestigious occupation and, indeed, surgery was sometimes analogous with butchery. Nonetheless an established business in a town could be lucrative, especially given the range of services that barbers provided. As such, the decision to enrol children with urban medics could be pragmatic. A brief glance at the apprentice registers reveals a number of interesting points. Firstly, it is clear that apprentices were often drawn from a town and its hinterlands. Although some came from further afield, the majority were local or lived within roughly a twenty-mile radius. On 18th Feb 1615 Richard Howe was apprenticed to Edward Wright, barber and wax chandler of Chester, for 8 years. Nicholas Halwood of Chester joined Robert Roberts, Chester tallow chandler for 7 years, while Robert Shone of Broughton’s apprenticeship to a Chester chandler was for 12 years. In some cases family connections were clearly important, and parents might apprentice their child to a brother, cousin or more distant kin. This was a useful means of drawing on connections to further a career. James Handcocke was apprenticed to his uncle William Handcocke, a barber and wax chandler in September 1613, while Robert Glynne was apprenticed to Richard Glynne to learn the art of barber surgery. Fathers might also take on their own sons as apprentices, a situation that must sometimes have led to fraught relations. 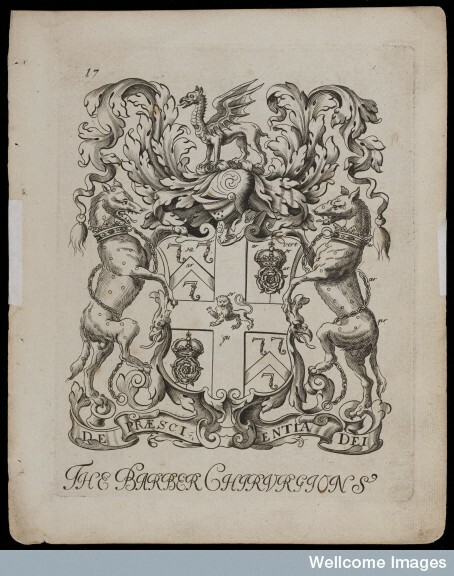 Nicholas Cornley was apprenticed to his father Richard for 7 years in 1626, while others such as Robert Thornley, a barber surgeon and painter (!) took their sons to follow in their footsteps. The conditions in which an apprentice lived and worked depended so much on their masters. While many were well-treated and provided for, which was in fact a central condition of apprenticeship, some masters could be cruel and neglectful of their young charges. Robert Pemberton’s service to Randle Whitbie ended 3 years into his 10-year indenture when he was found to be ‘gone from his service’. John Owen of Cartyd, Denbighshire, ‘ran away before his time ended’ as did Philip Williams, apprentice to Raphe Edge, who took to his heels after a year. Nothing is given as to the circumstances of their treatment; it was not unknown for apprentices to complain of ill treatment, however, and authorities took this seriously. In other cases the stark phrase ‘Mortuus est’ (he is dead) indicates another reason for the termination of an apprenticeship. The number of entries and records for the company is huge, and will take a concerted programme of research to thoroughly investigate. It will also be interesting to compare these sources with other similar companies across Britain to build up a bigger picture of the activities of medical trades in early modern towns. Once this is done we should have a much broader picture of the role, function and daily activities of medical practitioners in the past. Filling in job application forms must rank as one of the world’s least rewarding pastimes…unless, of course, you get the job! There is the matter of displaying your own competence for the role, addressing your experience, evidence of your skills, ability to fit in with the recruiting organisation and, importantly, providing people who will attest to your obvious brilliance. It feels like a very modern thing to do. Whilst we increasingly acknowledge that people in the past could be ambitious, we don’t often get chance to actually glimpse the process in action – especially the further back you go. 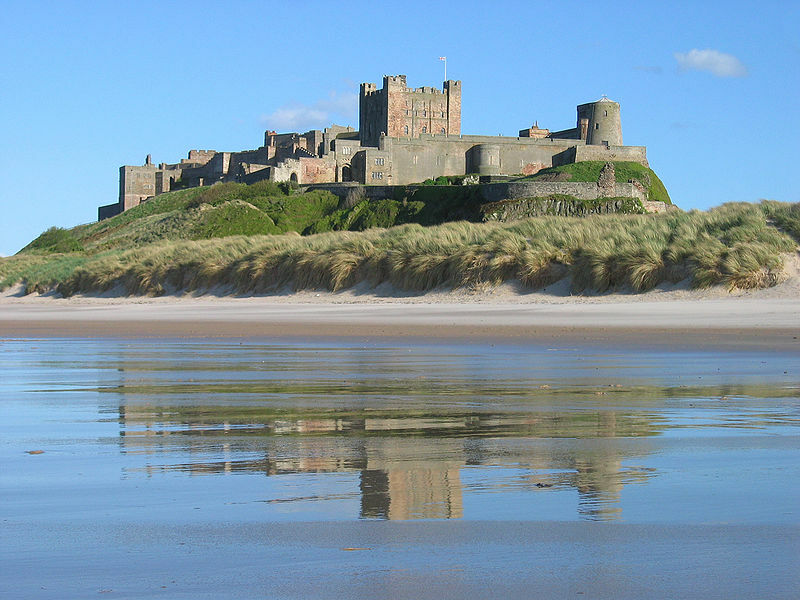 Some fantastic sources in Northumberland Archives, though, give us the chance to do just that. Better still, the aspiring job applicants were medical practitioners! “25th June 1774. Reverend Sir, As I am informed the place of Surgeon-Apothecary for the Charity of Bambro’ Castle is now vacant, I beg leave to offer myself as a Candidate for the same & till I have the pleasure of paying my respects to you at the Castle which I intend to do on Monday next, I take this method to declare myself , reverend Sir, your most obedient and humble servant”. Others were less circumspect. Only three days later than Gair, the good Dr Sharp received the following letter from a Dr William Rennick. Unlike Gair, Rennick was not one to hide his light under a bushel. “I beg leave to signify, that as there are rather too many physical practitioners in this place, I should be inclined to settle in Belford provided I could be favoured with the benefit, lately possessed by Mr Edmonton, at Bamborough – If you are willing to permit me to succeed him on satisfactory recommendation I should ever make it my study to merit your approbation of my conduct, and to display a grateful sense of the solicited obligation. I have been settled here as a Surgeon-Apothecary & man midwife near two years; my qualification in which professions, as well as the tenor of my moral conduct will, I flatter myself, bear the strictest enquiry. I am a native of Berwick & married. My attendance on some particular patients prevents my being able to wait on you in person. Rennick’s was a slightly unusual pitch; pointing out that there was too much competition in his area was perhaps a risky pitch. But the rest of his letter is a work of polite (if slightly oily!) genius. Stressing that he would ‘ever make it my study’ to make his boss happy, it is possible to overdo it…and Rennick overdid it! Some applicants were keen to provide character references. William Stoddart of Alnwick endorsed John Wilson’s application, stating Wilson was a “young man of sobriety and diligence in his profession. I would by no means have given you the trouble of this, but I could not tell how to deny him what I thought I might say with so much truth”. One William Green also tried his hand with a ‘celebrity’ referee – persuading a powerful local gentleman, Sir John Eden of County Durham, to write him a reference. “As there is a vacancy in the Castle of Bambrough” Eden wrote “I am desir’d to recommend to your notice Mr William Green”. That Eden was ‘desir’d’ to recommend Green suggests that his reference was not given entirely without coercion. It is also interesting, however, just how far news spread. John Sharp’s brother Dr William Sharp was a prominent surgeon in St Bartholomew’s Hospital in London, and often advised his brother on medical matters relating to the infirmary. In September 1774, William was visited by a naval surgeon, originally from the Bambrough area, who had learned of the position and asked William to petition his brother on his behalf. Although William did not know the man personally, “appearances were in his favour”. 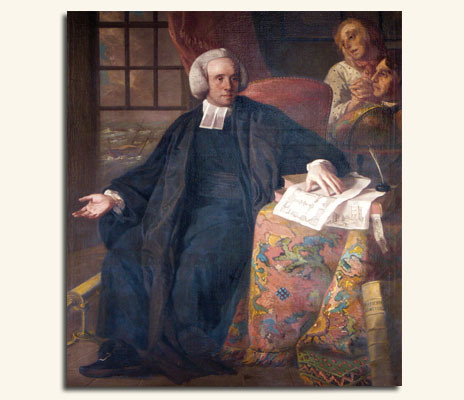 Ultimately all of these approaches, entreaties and salutations were in vain; the job was filled and the successful candidate was a Dr Trumbull, for a time, before the role was taken by the aptly-named ‘Mr Cockayne’! The letters are fascinating though, as they add a further dimension to the process whereby practitioners actively sought new positions in the eighteenth century, and shed some light on the methods they used to bolster their chances. We don’t know how the post was advertised, if at all – there is some evidence that the infirmary used the Newcastle Courant from time to time to share news and progress – but it is clear that some sort of grapevine existed. Many of the applicants stress how they have ‘heard’ about the vacant position – another reminder of the power of early-modern social networks. The next time you’re applying for a job, perhaps take a line from some of these medics. Will you try the ‘short and sweet’ approach of William Gair, or the florid prose of Mr Rennick?! In either case, may your applications be more successful than theirs! What did medical practitioners actually do in the past? Or, put another way, what sorts of things were they consulted for? Given the vast numbers of pages devoted to medical practice over the past few years this might seem to be a slightly redundant question. But, in fact, individual consultations are remarkably obscure. Physicians’ casebooks can be revealing, but the nature of these often means elite doctors and wealthy physicians. Also, whilst letters from patients can often give amazing insights into the sorts of diseases and maladies that afflicted them, it is less common to find evidence of the sorts of routine things to which practitioners could be called to attend for. One little source in Glamorgan Archives (MS D/DF/215) gives us a fascinating insight into the day to day work of an early-modern doctor. It is a receipt for medical services to the Jones family of Fonmon Castle in Glamorganshire from Dr John Nicholl. The Joneses were a wealthy family who had supported Cromwell in the civil wars. 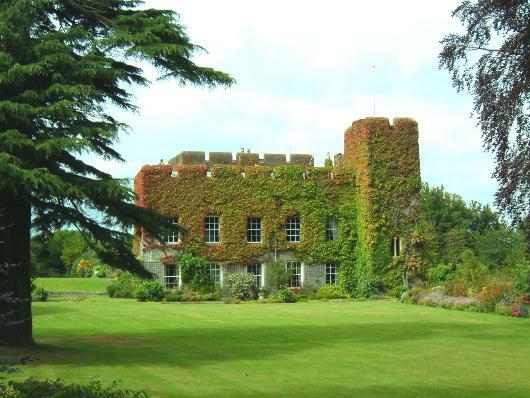 Colonel Phillip Jones bought the castle in the mid seventeenth century, adding and rebuilding parts of it. By the early eighteenth-century it was a magnificent country house. Of the doctor, John NIcholl, we know very little. It is likely that he was the same man whose will was proved in 1726, listed as a surgeon of Llanbydderi in Llancarfan – a few miles from Fonmon Castle. Nicholl was clearly fairly affluent, owning lands and property in Glamorgan which he bequeathed to his family. The source itself is a bill giving a brief description of the conditions treated between May and July 1715, together with the prices charged. The bill was sent to the house steward, and a note on the back states that it was paid in full at the end of the year. In a largely cashless society, it was common for people (and especially large households) to have services on account which could then be settled at intervals. It is also common in large houses for the same practitioners to be continually employed over periods of time. What sorts of things did Nicholl treat though? The first ‘cure’ referred to is a visit to ‘Madam Jones’ for an unspecified condition, for which Jones charged several shillings. Which ‘Madam Jones’ is referred to here is unclear, but likely to be the house matriarch. The next recipient of medical attention was in fact a kitchen maid, Anne Cornish. Again, Anne’s condition is unspecified but required a second visit and “blooding hur”. Another is to the unfortunately-titled ‘pig boy’, who occurs twice in the receipt. It is clear that the boy had fallen foul of his porcine charges since the receipt reveals that he was bitten by a boar! This necessitated two visits by the doctor, one of which was to dress his leg. Pig bites are in fact incredibly painful and, while the incident might appear faintly comical, could potentially be dangerous due to the risk of secondary infections entering through the open wound, or from the animal itself. The medical treatment of servants is interesting. Domestic servants were part of the early-modern household family. Whilst their working lives were doubtless hard, it should not be forgotten that many employers were in fact fairly benevolent to their young employees. In these cases, for example, the servants were clearly given more than a cursory look over; both were given treatment by an apparently ‘orthodox’ medical practitioner (as opposed to a cunning man or empirick). We cannot know their social status, but it is no stretch of the imagination to suggest that they might usually not be able to afford such treatment. Servants were valuable commodities though and, as such, needed looking after. I have found other examples of servants being paid even when sick, and allowed other ‘perks’ like being given money to go to a fair, or to purchase new clothes or shoes. We should not necessarily view early modern servanthood as a life of drudgery. The last example contained in the receipt again concerns ‘Mrs Jones’ but this time gives us a little insight into an accident that could only really befall someone of higher status. At some stage in midsummer 1715 Mistress Jones was clearly abroad in her coach, no doubt enjoying views of the beautiful Vale of Glamorgan. Whilst comfortable standing still, the suspension systems of early-modern coaches were rudimentary at best and did not cope well with rough tracks. Perhaps it was an encounter with a wheel rut or some other type of obstruction that caused poor Madam Jones to hit her face and bruise her nose. No doubt nursing wounded pride as well as a bloody nose she clearly called for Doctor Nicholl! Even in small, apparently limited, sources like these it is often possible to recover tantalising glimpses not only of healing practices, common (and in this case elite!) 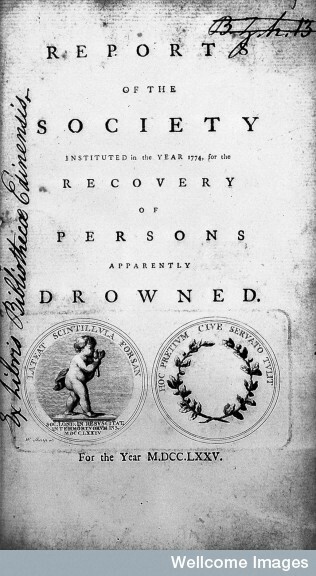 maladies and individual patients, but even something of the social attitudes towards sickness in a society and at a time where records of medical encounters are frustratingly rare. Last week the issue of the performance of surgeons came under scrutiny. The health secretary, Jeremy Hunt, threatened to ‘name and shame’ any surgeons who refused to publish their performance data, including mortality rates, in league tables. http://www.bbc.co.uk/news/health-22899448 Surgeons have raised many objections to the plans including potential stigmatisation of those seen as under-performing (an issue that is itself problematic say some authorities), the potential for misleading figures and, no doubt, a dent to professional pride. The measurement of performance – at least in terms of quantitative measurement and aggregation – together with the publication of results are a modern phenomenon in the medical profession. It is interesting to consider the issue of performance, and of public perceptions of medical practitioners in the past. In the early modern period, for example, reputation was most certainly a central factor in people’s choice of medical practitioner. They wanted at least some reassurance that the man about to lance their boil or cut for the stone was not some cack-handed amateur who would leave them bleeding to death on the kitchen table. But reputation worked at a deeper level than this. In rural communities, for example, people effectively became healers by reputation; once a cure had been attributed to them, word of the power of the healer would spread and a position cemented. This was generally the way that so-called ‘cunning folk’ and ‘irregular’ healers gained prominence. It is interesting to consider early-modern perceptions of ‘performance’ though. If we were to apply a modern measure to seventeenth-century practitioners, what sorts of figures would emerge? 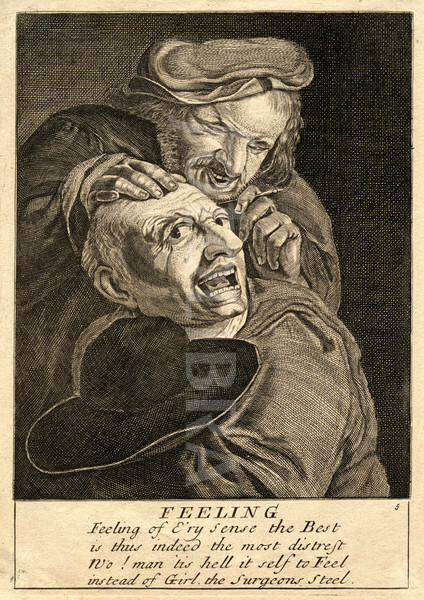 For many reasons we have no means of accurately measuring the ‘figures’ for early modern doctors. Beyond parish registers there were no official figures for causes of death outside London (if we include the Bills of Mortality) and nothing like today’s patient records from which to infer case histories. Some physicians did keep case books, and these can often reveal interesting stories, but not enough to aggregate. What does seem likely though is that, at least by modern measures, 17th-century doctors were probably highly inefficient. Mortality rates, at least for surgeons, were undoubtedly far greater than today. Major surgery (such as opening the chest cavity) was seldom done due to the overwhelming risk of losing the patient. Before anaesthetic, any surgical intervention was risky whether due to hypovolemic shock caused when the body loses too much blood, the physical trauma caused by the pain and wound infliction or, perhaps even more so, the risk of secondary infection after surgery due to unwashed hands and instruments, and dirty conditions. Even relatively minor procedures such as bloodletting carried the risk of introducing infection, and a certain amount of deaths must surely have been attributable to blood poisoning or infection caused in this way. All of this begs the question of why, if it was so risky, did people elect to visit surgeons at all? Why did some surgeons, especially into the eighteenth century, gain prominence and even fame if they stood a fair chance of killing their patients? Surely people would not have given such people the time of day if it were proved that they responsible for the deaths of far more people than they saved? The answer is that people simply had a different expectation of what medicine and surgery could do for them. This was a world of sickness in which the patient, while by no means powerless, relied on an array of defences to support them in their fight to return to health. These included domestic medicine, family and friends, books – if they were literate, and also medical practitioners. Rather than one consultation with one general practitioner, as today, people commonly consulted many healers until they found one they were happy with. They might combine treatments and seek the opinions of several, whilst still falling back on their own tried and trusted remedies. But did they expect practitioners to heal them? They certainly hoped that they would, but also understood that they might not. Let’s imagine for a moment that an early-modern person learned that the mortality rate amongst the patients of their prospective surgeon were in excess of 70% A surgeon with those sorts of rates in today’s league tables might well not last long on the register. But a seventeenth-century person might well view things a bit differently. Whilst acknowledging the potential danger, they could well view this as a risk worth taking – as a last-ditch effort to make them well again. This explains why people went to doctors at all, and brings us back to reputation. If a practitioner had healed at least some people then they were potentially worth visiting. The fact that many people died under their ‘care’ was not necessarily viewed as their fault; it was an artefact of living in what everyone acknowledged were dangerous times for the sick. Therefore, doctors who had had at even some success were a potential lifeline. More than this, they could be held up as figures of approbation, despite what might be seen as a good record of not curing! What they did, however, was offered some degree of hope where otherwise there might be none. In that case, half a loaf was better than none. Performance, even today, relies on much more than bare statistics. The reputation of practitioners is still important; we would all ideally want to see the ‘best’ specialist or the most eminent surgeon. It is worth considering how statistics can only tell part of the story though, and the ways in which our perceptions of reputation have shifted over time.